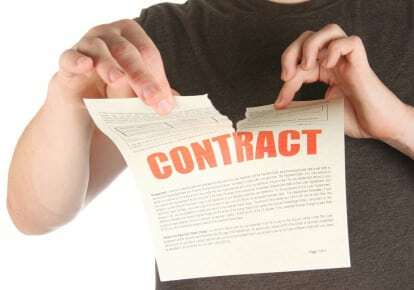 Once you list a home for sale you might come across the need for listing agreement cancellation. When and if that time comes you need to carefully evaluate what the listing agreement says and the reason or reasons for cancellation. Some real estate companies will not allow a seller to cancel a real estate listing agreement, sound unfair? Listing Agreement Cancellation can cost you thousands! Let’s examine a few things, first off why are you cancelling? Are you not happy with your agent or did life through you a curve ball and you can’t sell right now? Questions like these need to be answered before even placing a call to the real estate office to cancel the agreement. If you’re planning on switching agents, the real estate office Broker or Manager may have the solution; you can keep the listing with the agency to fulfill your obligation but ask to switch agents. After all the listing agreement is actually a contract between the seller and the broker, not the sales agent. If you need to just take the property off the market then ask the broker or manager if putting the property in a withdrawn status is a possibility. This status will keep the property listing agreement active with the real estate office but remove it off the MLS. Since you have a contract for a set amount of time, you would have to get your brokers permission to be released from the contract so you can go with another agent or agency. Most often the real estate office broker or manager will approve the listing agreement cancellation after they attempt to dissuade you from making the change as they don’t want any bad will or press. Obviously the agent that has the listing will be reluctant as he/she sees the commission grow wings and fly away! Regardless what an agent says about listing agreement cancellation, the broker has the final word… go to the top and present your case for cancellation. For more information on canceling a listing agreement, please feel free to contact us or leave a comment below. We’d appreciate the opportunity to assist you.